Is it a big job to do? And what did you use for fuel line .ie rubber pipe or braided? Also what's a good brand of FPR to use? Will probably change the fuel pump too while I'm at it. Welcome along mate. What are the front recaro's out of? Thanks for the reply soiled. Right guy i've changed an engine in an altezza but now don't hav spark or petrol when turning it over to start it. Any one any ideas? Soiled wrote: If it's got the 3 pronged plug next to where the hand controller plugs into you can use map. For a bolt on turbo kit you won't need this though as you won't max out the Maf sensor. What about the 5 pronged power fc, can it use a map? 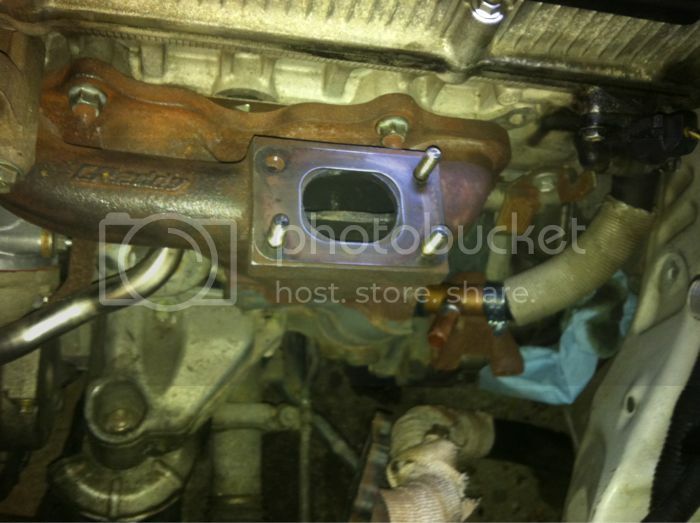 Is that the pipe to the right of the manifold you're talking about soiled? Parts where delivered today just like you said. Do you need just intercooler or all piping ? ?